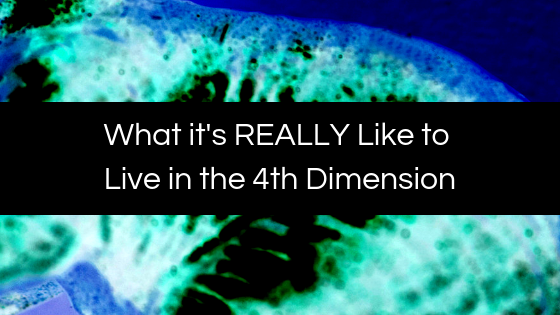 I'm going to be sharing with you what it's really like to live in the fourth dimension, and I'm going to share with you practical ways you can start to embody it so that you make this shift easier than ever. Today, I'm going to be sharing with you what it's really like to be living in the fourth dimension, understanding that we're already there. I'm going to be sharing with you the ways of understanding how you can become aware of that and how you can embody these higher principles is higher vibrational states of being so you start to create an experience which you want in your life. For this process, let's understand and let's just understand as well that were already there. Like I just want to share that with you because sometimes what we think is that we have to try to get somewhere else. Dimensions overlay each other. Right now, there is a perspective I can have of 3D reality, third-dimensional reality, which you could say is that of duality. 3D is kind of like duality, good, bad light, dark, bad, good. All of these opposites and when we become identified with one of those, we end up experiencing more of it or we experienced that polarity. What's happening is right now on the planet, more and more people are becoming aware of how to have a neutral perspective. When we see these things on the news and the media, it's bringing us back into the 3D level of consciousness, the 3D where we're identified with everything that's happening. Think of 3D as well as just being in the autopilot mind. Things are happening to us and that is the old paradigm that we are moving out of. When we think of that have the fourth-dimensional state of consciousness or the fifth-dimensional state of consciousness. There are also right here in the present moment. It depends on our focus and our vibratory frequency. People that are at the effect of everything in life are normally in a third-dimensional state of consciousness, which means that reacting to everything that's happening, they are feeling like they're the victims of circumstance and they're not aware of who they really are. They're not aware that they are immortal, spiritual beings live in temporary human experiences, or if they are, they're at least still choosing to be identified with the game itself of the third dimension. What's happening is right now in the present moment, we have the ability to perceive a 3D reality for d reality, five d reality. Now 4D reality, the fourth dimension is that or fourth density. There are different ways of describing both of these fourth dimensions for densities. You could think of it in the way of just different labels that we may use. I'm just using dimensions because it's the one that most people use in, in terms and fourth dimension you can think of as like a dream state. You could think of the fourth dimension as having more fluidity, having more flexibility with time and space. You can think of the fourth dimension as something that becomes more of like a dream. Life is like a dream. This is why I always say the statement. The more that you realize that your life is a form of a dream, the more dreamlike your life will become. The reason I say that is because when you start to have that perspective, you move from primarily in the 3D level of consciousness of identifying with the reality so much. And you start to shift yourself into a state of allowing reality to be the dream that it is allowing reality to be more flexible or allowing reality to have more of this time, the perception of time for it to be more fluid, to be there, more synchronicity in your life. That is the fourth-dimensional state of the conscious, fifth-dimensional state of consciousness is that of unconditional love and bliss. It is the next step. It's when we realize that we are all connected, that what we do to someone else we do to ourselves because there is that connection there. That's a fifth-dimensional state of consciousness and right now in the present moment, we have each of these perspectives available to us. A lot of times people think that when it comes to 4D, 5D, that in order to perceive of it, we have to leave that of earth and go somewhere else, but dimensions are not bound by that of just space. Dimensions are a vibratory frequency and perception that we can all begin to shift to and shift from depending on our frequency. Our level of awareness now since about that of 1990 to 2000 and this time period is a little bit debatable depending on the perspective we have been shifting out of a 3D level of consciousness. Identifying with everything that's happening with things being very solid with a lot of forms and because we are moving through a place in space right now where there is such a highly charged level of light, a photonics energy. We are going through a transformation of our own bodies and of our own consciousness. This is waking people up at higher states of consciousness and we can see this as a clear sign because this information, even the information on my channel is becoming more and more mainstream. 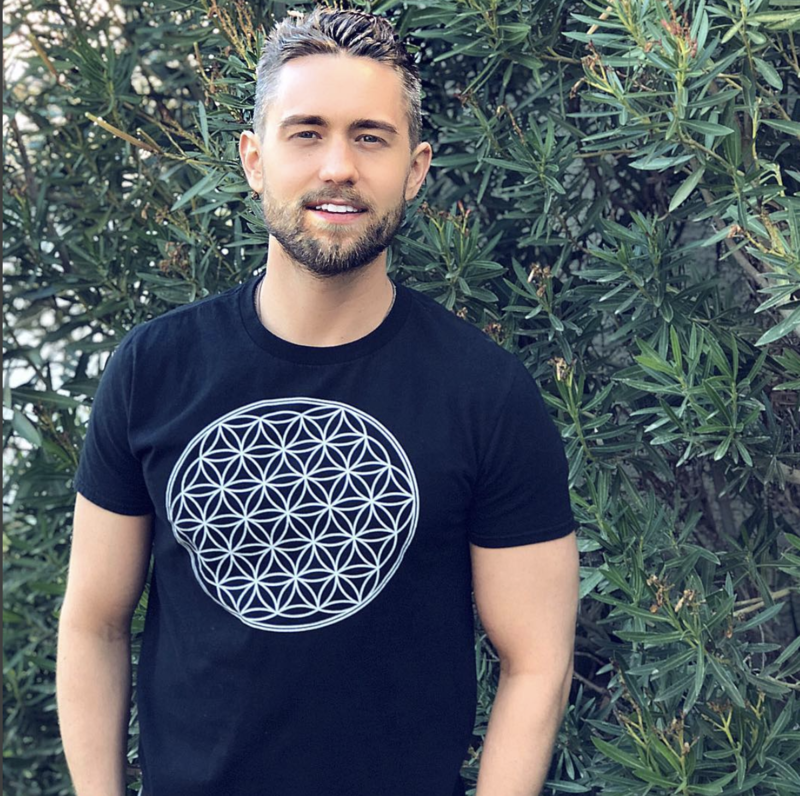 More and more people are interested in it because more and more people are waking up to this information and as we go through this shift, what we're doing is we're going from a primarily carbon-based body into what is called a crystalline based body. This crystalline based body is understanding that it is of a higher frequency. We're starting to embody a higher frequency of light because literally, our body is transforming into that of light. I'm not saying that we're going to have these fully activated light bodies where we don't have a physical form in the next five years. What I am saying is that there is this process on the planet going on right now where more and more people are becoming activated, will raising their vibratory frequency and then perceiving life from a totally new perspective in this life. This is why people are here right now to go through this shift in consciousness. If you want more information on this checkout, Dolores Cannon's work. She had 17 books out of people in the deepest levels of brainwave activity where their higher selves are coming through and answering questions. These people are then with a voice recorder, you can hear what they're saying or in the books, you can read the transcripts and they are saying things like, I incarnated at this time to go through this massive shift in consciousness. There's a massive shift in consciousness going on right now and I came to help and to be a part of it, and when Dolores Cannon back in the seventies and the eighties when this stuff was really taboo, was doing this with thousands and thousands of people all over the world. There was consistency. People are here right now for this shift in consciousness that is happening for this shift from the 3D level of consciousness to 4 and 5D level of consciousness. Because normally what happens is you'd have a civilization like the Mayans who left as a civilization from one level into a totally new realm of perception and they went with their bodies. However, in this life we are doing it in form, we are not meant to leave in that way. We are all doing this together and that's what is happening is we are moving to the fourth-dimensional state of consciousness. 4D level of consciousness is more like a dream. It is realizing that life is a dream and let me tell you something. You're immortal. Spiritual beings living a temporary human experience at higher levels of consciousness. You are asleep right now dreaming that this is who you are and when we start to shift into a 4D level of consciousness, we start to merge with our higher self and we begin to have these perspectives of understanding that reality is much more fluid than we think. 3D level of consciousness. We need a ton of science, were very skeptical of things. We think that things have to be proven with hard science and not knowing that our beliefs are self-fulfilling prophecies and then in general, whatever we look for, we will find evidence of. That's a big paradox, but in the 4D level of consciousness, we start to acknowledge it. We realize our beliefs create our reality. Every truth is but a half-truth. You can look for evidence of you being confident in your past and you were not confident in your past. Whatever perspective you focus on is what you're going to get more information of your beliefs are literally creating your reality. That we have this perspective, those beliefs are creating our reality and afford the level of consciousness we can start to become aware of what do I believe to be true? For me, I've let go of a lot of negative belief even when I started this YouTube channel and I started developing a very strong work ethic. I was so focused on developing this work ethic and getting success, becoming successful and it got me to a certain point, but eventually, I realized that I had this belief that I had to work really hard to be successful. And instead what I did is I replaced it with more of understanding that when I'm in a high vibration, things happen for me. It's more about shifting my state than anything else. And as I focused on shifting my state, that's when things really began to change and then when I do take action, things are much more leverage. I found that out when I went to Costa Rica recently because I had such a desire to make videos while I was there. When I was on vacation for a week doing deep inner work and I still had this desire. I'm like, "Wow, what would I have to believe is true that I feel this scarcity to make videos every single day will I have to believe that I have to work really hard to be successful and my ego does not want to let that success go." So becoming aware of it, how can I change it? How can I change that belief? Because the outer reality in the fourth dimension is a reflection of the inner reality. It's honestly like that in general. Even the third dimension but thing is if people aren't aware of it, think of the fourth dimension as more of a dream. More magic is able to be here. If you look at that, if you read the book Autobiography of a Yogi, for example, by Yogananda, which is a firsthand account of him talking about his life experience, he's an enlightened master. He talks about his experiences with other knowledgeable gurus in India and his whole life story is that many, many encounters with things that we would live to really think our magic. We would say that is not possible. It is not possible for someone to levitate, is not possible for somebody to buy, locate in appear in two different places. At the same time. It is not possible to bring someone back from the dead that was dead for like eight hours. That's not possible. That is not possible from a 3D level of prospection of perspective. However, when you're of a higher vibrational state of consciousness, things like this are more flexible because it's all light. That was another quote that I've heard Yogananda say. In the same way, you may go to a movie theater and you may sit there and he may look at the screen and see different constellations or compile patients of light frequency of these frames. And these go through and there'll be a light projection that is on the screen and the same way you can look at that and notice that it has just different consecutive movements of light of pitchers. You know that you can suspend your belief to understand it and to know that that is real for the period of time so you can enjoy it. Even though you know that at a deeper level it is just an act in the same way. It's all light in the same way in our life is all light. The fourth dimension is being aware that since it's all light, there is more flexibility within the dream itself. There was more flexibility for these kinds of things that happen because the only moment that exists is now and as we change our vibratory frequency right now, we experienced a new level of reality. This is about having the awareness that reality is meant to be more flexible than we think. Our beliefs create our reality. Most people believe that miracles don't happen. Therefore they get a one on reflection of their life that miracles aren't happening. However, miracles are a natural byproduct of who you are and the more you tap into that, the more you allow. That is, the more you will experience that. Understand that the fourth dimension is a higher vibrational state of consciousness that you can tap into right now in the present moment. One of the best ways I've found to do this, honestly, as cliché as it sounds, is to follow your passion. Do what you love. When I make these videos, no doubt about it. I'm in a fourth-dimensional state of consciousness because I'm in a flow state and I don't really have to think that much. in life in general. What is going to be happening right now is the fourth-dimensional state of consciousness, the three level of consciousness. The third dimension is going to continue to crumble. If you remain attached to the perspectives of victimization, if you remain attached to the perspectives of what has happened in the world, all of these things that are happening and thinking that it is all bad because you're identified with it, you will remain in a 3D level of consciousness. If you observe it and notice it for what it is, not in a judgmental way like all these 3D people are experiencing all this 3D stuff. You just acknowledge it. You see it for what it is, but then you shift to a 4D level of consciousness. Understanding that reality is like a dream. This is meant to be fun. That's the other thing too. You want to tap into more of a 40 level of consciousness, have more fun, joke around more. This is meant to be fluid. It's meant to be fun. It's not meant to be so serious. If you take life so serious, it feels so heavy. If you just have fun with it, it loosens up. It becomes more malleable. As you increase the frequency of something, it becomes more malleable, right? If you were to heat clay up, it's a little bit more malleable. If you freeze that clay, guess what? It becomes harder. Decide and choose what you engage in the fourth dimension is realizing life is a dream and it is going on. Things based on vibrational frequency. What are you passionate about? What are you doing? What are you excited to do? As you choose to do things like that, you'll notice more and more things in your life. Begin to reflect that back to you that this is about a state of being and this right here, right now is available to us is this 4D level of consciousness, fourth dimension, and in a way, we are merging our waking state with our dreaming state and we are becoming the dream and in this life all 3D paradigms. We'll continue to break away the 4D level paradigm in the Five d level of paradigm. It's about understanding that it's about vibrational frequency and that you can exist in this higher state. Now, what are some practical examples of us being in a 4D level of consciousness? It could be that you go to do something and time just starts flying by. You can't find out where the time when sometimes I'm doing work, I'm doing that, have work for my business or I'm doing that and making videos and 20 to 30 minutes go by and it feels like a 10-minute video. Like right now it feels like it's about a six-minute video. It's much longer than that because I'm in a flow state. I mean that higher vibrational state of consciousness, you may find that when you're doing something, time just flies by. You don't know where the time went. You may find that people that use to resonate with you, that no longer resonates you with you just literally fall out of your life that you just. You don't, can't really remember where they are. You can't remember what they're doing. You can if you try, but you have to really try. As you raise your vibration, you will start to experience a reflection of the life of people who resonate with you, so that's something that may happen to people may literally fall out of your life that doesn't resonate with you and people will come into your life that does resonate with you. As you go through this process, that is something that will continue to happen. You may find that as you look at the old paradigms, it starts to feel different, starts to feel different. As you look at the news, it's not the same. Why is everything on the news negative? You start to question these things. You start to be more mindful of where you put your energy because you understand that where you put your energy is where you put your attention, is where what grows in your life, so you start to ask yourself, what am I engaging with? What am I doing? What kind of activities during doing you start to become more aware of, and as you become more aware of it, you start to make new choices. You start to realize it's more about changing on the inside to then change the outside versus changing the outside. You start to become more aware of that. The fourth-dimensional state of consciousness is here right now. It's not someplace we have to go. Let me see if I think I mentioned everything I wanted to talk about. Yeah, let's continuity. It's literally realizing that this life is meant to be kind of like a dream. The more elusive you become in your dream, David Lucid dreaming you become lucid in your dream is you becoming aware that you're dreaming. Then what can you do? You have more flexibility to do what you want and the same way if you become more lucid in life, you become more aware in life. You can see the correlation between what you think and what you experience. You didn't have more flexibility in the dream of life, so it's the same type of thing. Lucid dreaming and Dream State allows you to have more flexibility, more conscious direction. In waking life. It's the same way. Become aware of what you believe to be true, become aware of the current choices you're making. Become aware of the emotions you're feeling. Become aware of these things. You become lucid in life and then you can direct it where you want to go, but the awareness is where the power is and it's about being lucid in the dream of life and I say the dream of life because the reality is meant to be much more magical than we think. Life is meant to be much more flexible than we think. It's only art, rigid beliefs that keep the old paradigm alive and that keep us in that lower frequency state. You are a higher vibrational being that is chosen to be here right now. The more you embrace that, the more magical your life will become. With this understanding of how we raise our vibration, there is also something that I have that will help you to detach from that of the third dimensional state of consciousness and in order to do that, I have a meditation that will help you to raise your vibration and to get to a new state of consciousness literally.